You want to know what my first Google search of the day was? Sometimes I have the craziest rage-filled dreams. I seriously get mean in my dreams! One time, I dreamed I was so mad, I threw two red ceramic coffee mugs across the kitchen, and the smashed up against the wall in the laundry room. Last night, I dreamed I was so mad that I pulled the wall between our bedroom and our living room down. What in the world? What am I so mad at? It's so strange, because in real life, when I'm mad, I usually just get quiet, or cry. I am not violent. But in my dreams, you better watch out! *update: I learned from my Google search that it could mean I have control issues. Ya think? I woke up kind of tired since I demolished part of the structure of this apartment last night. It's going to be a beautiful day! My softball team is practicing today, but my hands are all flared up (I have a skin condition on my hands - not contagious - triggered by stress), so I don't really want to get ball field dirt in my hands, so I'm not going. I feel like one time I heard about an accessible hiking trail in Great Falls? I'm going to Google that in a sec, and maybe we will have to do that today. I feel like being outside. And/or... I want to go to the garden/nursery store and use my Groupon. Construction is finally finished on the exterior of our apartment building - so we can have our porch back! 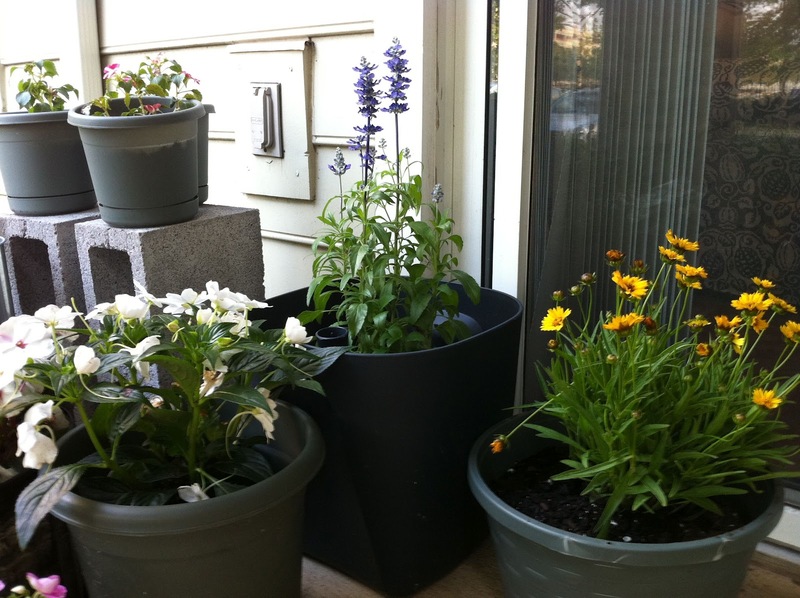 I can't wait to plant flowers and herbs and get back to grilling out! Oh, and after an extensive two day search that ALMOST led me to hate my body, I have finally decided on a dress for this year's White House Correspondents' Dinner. I chose to go with the black one. I took a poll on Facebook/Twitter/Instagram and it was really fun hearing from my friends on their input. In the end, though, I went with my mom's suggestion. Because she is never wrong. I really like both dresses, though. And if I had the money, I would get them both. 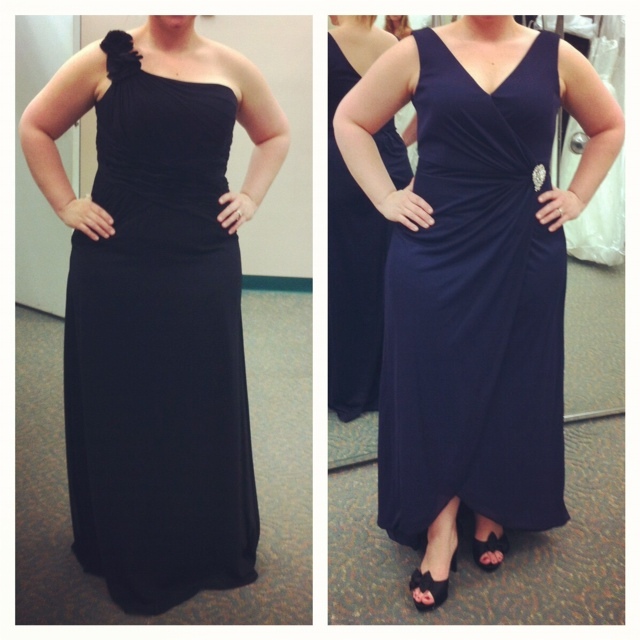 Not sure yet if I need two formal dresses this year, or not.